14K Tri-color gold plumeria flower earrings. Each flower measures approx. 3/4" tall x 1/4" wide. View more items from our flower earrings collection! 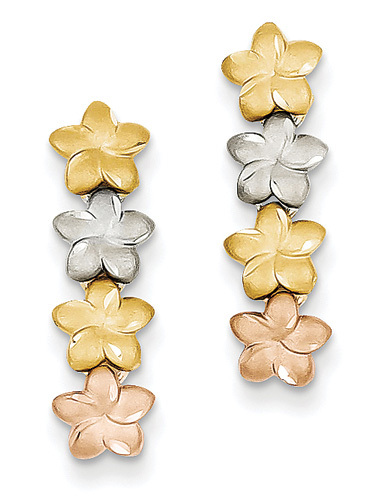 We guarantee our 14K Tri-Color Gold Plumeria Flower Earrings to be high quality, authentic jewelry, as described above.